Winter is now upon us here in Port Lincoln but this is no reason to stay indoors and rug up - actually quite the contrary. With our mild climate in Southern Australia, this is an exceptional time to get out and explore the region and in particular, view the abundance of wildlife which leaps to life over this period of the year and into the warmth of spring. Some of our favourite encounters this time of year include the following! Western Grey Kangaroos are one of the largest macropods found in Australia. 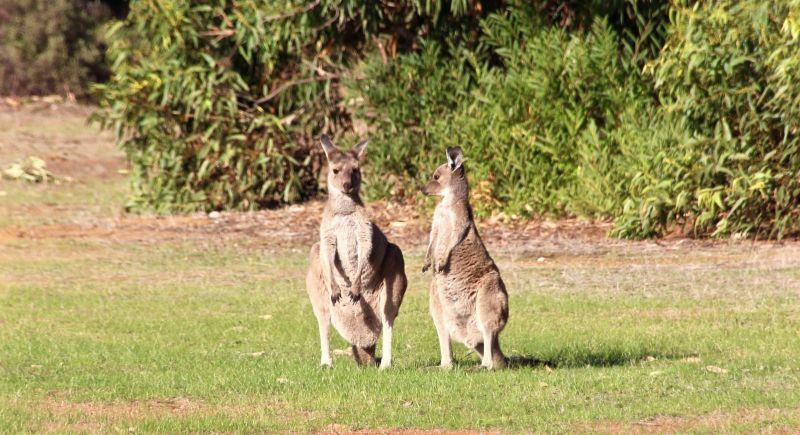 With a large amount of native vegetation and with the abundance of natural food available to “graze on”, mobs of these kangaroos are very common and active around these parts, so be careful on our roads & in particular at night! It's interesting to note that at this time of the year, the male (buck) kangaroos live in large groups away from the females (does) and engage in threat displays and fights to establish dominance, with the largest, most dominant males having first access to the females in the spring. Gestation is only 30 days hence the large amount of adult and juvenile (joeys) that we do have in our region. Standing at up to 1.9 metres tall, the flightless Emu is one of the world’s largest birds. Winter is a time where nesting takes place and where we witness very interesting 'domestic life' behaviour. After the female Emu lays her dozen or so green eggs, she leaves the male to incubate & hatch the eggs, then raise the chicks on his own. 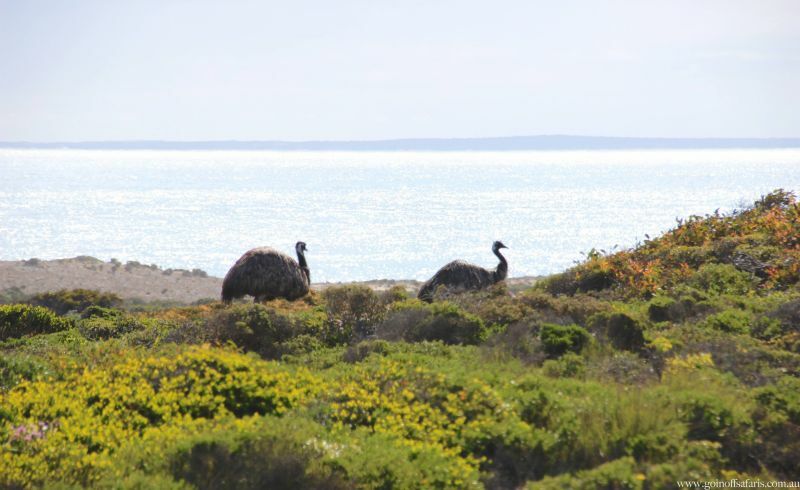 Meanwhile, the female is off breeding again so we do see Emus of all shapes and sizes regularly on our travels across different terrains including on beaches, sand dunes, on the roads and even in townships like Coffin Bay where they just wander throughout! There is just so much to learn about the Koala that it is a blog on its own! It really is an incredible & durable animal. We are very lucky to have one of our countries best locations to discover, view, educate and photograph Australia’s best known and favourite wildlife acts, right on our doorstep. Sitting amongst a very healthy population of Manna Gums, these Koalas share their homes with 70 different types of native birdlife. 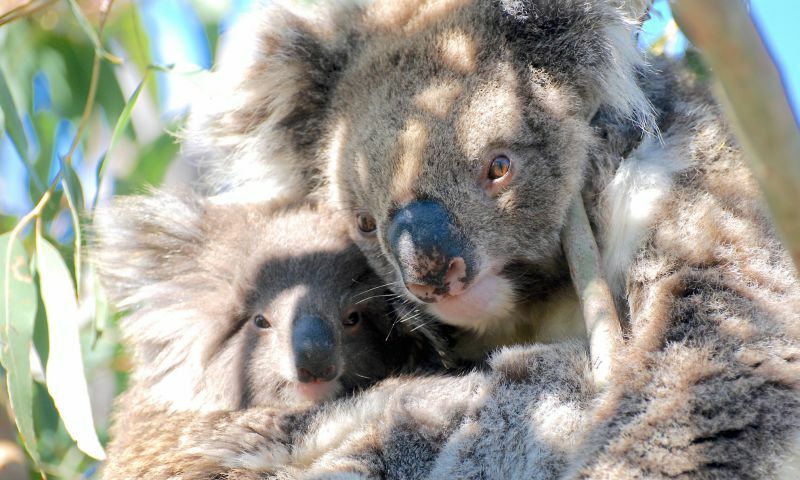 It’s a beautiful thing and what is really impressive is that by the end of winter and going into spring, the joeys (baby Koalas) are now checking out the world after being inside their mothers pouch for the last 7 months! 4: Southern Hairy-nosed Wombats Nicknamed the “bulldozer of the bush”, the wombat is the closest relative to the Koala and is also South Australia’s state animal emblem! It’s a very interesting animal, common around north western Eyre Peninsula, so much so that they are not the farmers best friends! This is due to the wombats ability to dig large burrows with their powerful but blunt claws, amongst general farmland, dining on most grasses around the burrows. With a snout that resembles a pig, the wombat has a backward facing pouch, so that when they are nursing their young (also known as joeys) this keeps the dirt out! Rarely will you find wombats in the middle of the day, but like kangaroos, they start moving around late afternoon and are particularly active in spring when most births and weaning occurs. We are so lucky to have in our stable Fran Solly, our resident bird expert, photographer & soon to be author. 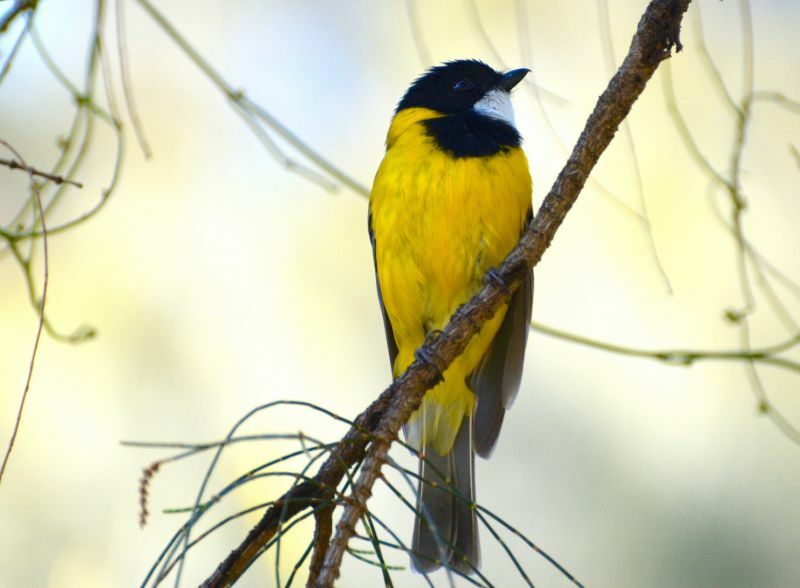 On the lower Eyre Peninsula, Fran has identified around 190 different species of birds which includes many shore birds and waders (such as gulls, terns, Ospery, sandpipers, stilts), birds of prey (such as Wedge-tailed & White-bellied Sea Eagles, falcons, goshawks, kites), bushbirds (wrens, honeyeaters, parrots, cuckoos, and robins) and migratory birds that arrive here in the spring and summer to escape the northern winters. This time of the year is a mecca for birdwatchers with our many kilometers of coastline, the Big Swamp bird hide, and numerous National Parks. Reminder: With spring only 8 weeks away, not only is the countryside in all its colourful glory, but tours to swim with the puppies of the ocean, the Australian Sealion, will again be underway! Please click here for more information about creating your very own Eyre Peninsula adventure.